The maps found here will show the locations of all the different Champion Spawn Locations. 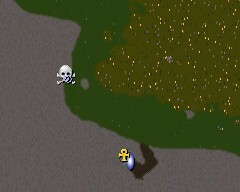 The location of the spawn altars are all marked with a skull and on Felucca maps also with a number, the number will be used below the map to describe the location. On the Felucca maps there will also be some icons that look like moongates, those icons illustrate the locations of the teleporters that will transport you to other locations within the Dungeons or Lost Lands. 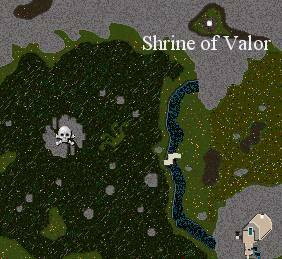 Just southwest of the Shrine of Valor you will find a white bridge. Cross this bridge and search for a clearing that with the overhead map looks like a crown. You will find the altar just west of this clearing, but by then you should have already run into the spawn. This spawn always has a random one of the five “evil” monster groups. Just northeast of the Shrine of Humility you will find some ruins of a small building. A few steps east of this ruin you will find the altar. You can also find the altar by going southwest from the “Lava Vent” that can be found in the area. Coming from the Shrine of Spirituality, head northeast. The altar is located just southeast of the Twin Oaks Tavern and just southwest of a small hut in the middle of a cluster of trees. This spawn always has the “good” Forest Lord monster group. 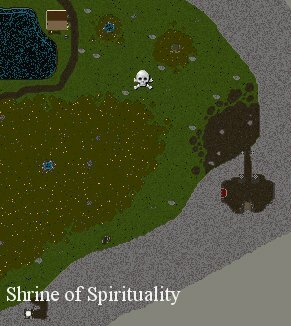 Coming from the Shrine of Spirituality, head west to the entrance of the Mushroom cave. At the northern edge of the cave is a magical gate surrounded by a circle of mushrooms. This is the entrance to Twisted Weald (entrance is granted only to those who have accepted the Dreadhorn Quest). The altar is located at the southern edge of the glade. Walk along the road north on Isamu-Jima and just after you pass the Shrine of Isamu on your right, you will enter the spawn area. The altar itself it just east of the road when you exit the small dead forest you were walking through. This spawn is always the special “Sleeping Dragon” creature group, which can only be found at this location. 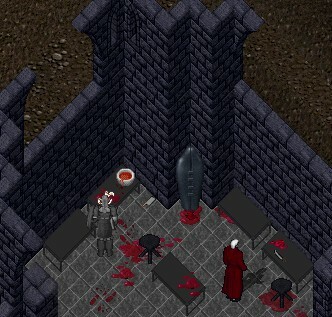 Entrance to Bedlam is through the iron maiden in the Bloodletter Shop, however only those who have accepted the quest Mistaken Identity are granted entrance. Once inside Bedlam make your way to the graveyard, west of the entrance and enter the crypt. The Labyrinth is found on an island floating in the sea of stars in Malas. Access to the island is gained through a crystal located on the point opposite the island on the mainland, west of Umbra. Once you enter the Labyrinth, make your way through the winding passages deep inside. There is no altar for this champion, she appears, with 4 consorts, on the upper floor of the large building. This spawn is located on the third level of Dungeon Deceit. The Unholy Terror monster group is usually found here when the location is active. The altar is located right next to a room with pools of poisonous swamp water. This teleporter will take you to the spawn in Fire Dungeon. This teleporter will take you to the spawn in Despise. This is the stairs leading up to level 3 of the dungeon. This is the stairs leading down to level 4 of the dungeon. This is the stairs leading up to level 2 of the dungeon. This spawn is located on the third level of Dungeon Despise. The Vermin Horde monster group is usually found here when the location is active. 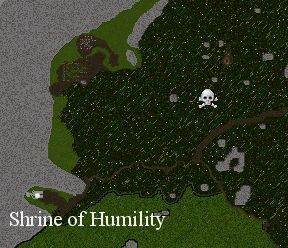 The altar is located on the island where Ogre Lords used to spawn. This teleporter will take you to the Ancient Wyrm lair on the third level of Dungeon Destard. This teleporter will take you to the spawn in Terathan Keep. 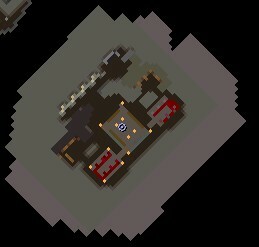 This spawn is located on the first level of Dungeon Destard. The Cold Blood monster group is usually found here when the location is active. The altar is located in the back part of the cave, past all the Dragons. This teleporter will take you to the fourth level of Dungeon Deceit. This is the stairs leading down to level 3 of the dungeon. This is the stairs leading up to level 1 of the dungeon. This is the exit from the dungeon. This is the stairs leading down to level 2 of the dungeon. This spawn is located on the first level of Fire Dungeon. The Abyss monster group is usually found here when the location is active. The altar is in the hallways between the graveyard and the stairs down to level 2. This is the exit to Serpent’s Hold. This is the exit to the Desert in the Lost Lands. This spawn is located deep inside the Terathan Keep. The Arachnid monster group is usually found here when the location is active. The altar is located just southeast of a dark gate that will take you to the Star Room. This teleporter will take you to the spawn in the Fire Dungeon. A dark moongate will take you to the Star Room from here. There is a total of 12 spawns spread all over the Lost Lands in Felucca. All the monster groups rotate randomly between all these locations, except for location 10. 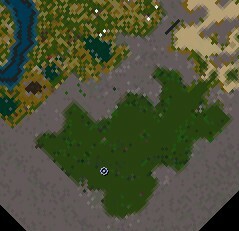 The coordinates displayed here are used in UO Auto-Map. 1 5511, 2360 This altar is located in the icy region reachable by either going through the Ice Dungeon or using teleporter T5 near the ruins of the old Minax Stronghold. 3 5549, 2640 This altar is located on the road just south of the oasis. 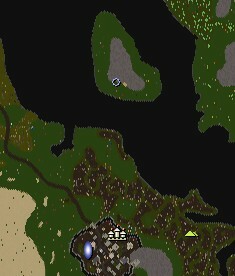 4 5636, 2916 This altar is located straight west of the entrance to Fire Dungeon. 5 6035, 2943 This altar is located in Terra Sanctum, which is ONLY reachable by boat. 6 5265, 3171 This altar is located on a mountain plateau just east of the passage to the Marble Building. 7 5282, 3368 This altar is located just south of an area known as the Damwin Thicket, it is almost surrounded by mountains. 8 5954, 3475 This altar is located in the Hopper’s Bog swamp, just southwest of the exit from the Britain Sewers. 9 5207, 3637 This altar is located right between the City of the Dead and the now abandoned Orc Fort. 10 5559, 3757 This altar is located just southwest of the passage to the Vesper Cemetery. This location always has the Forest Lord monster group when it is active. 11 5982, 3882 This altar is located just south of the main entrance to Dungeon Khaldun. 12 5724, 3991 This altar is located just north of the small lake known as Tortoise Lagoon. T1 5443, 2325 This teleporter will take you to a location near the ruins of the old Minax Stronghold. T3 5996, 2367 This teleporter will take you to a location just east of Delucia. T5 5731, 3420 This teleporter will take you to the western icy region, also reachable through Ice Dungeon. T6 5501, 3972 This teleporter will take you to the eastern icy region, otherwise only reachable by boat. E1 5208,2322 The exit from Ice Dungeon. E2 5266,2757 – 5974,2694 Serpent Pillar (Say sueacron to teleport to Britannia). E3 5757.2909 The exit from Fire Dungeon. E4 5126,3144 The entrance to the passage to the marble building. E5 5733,3190 The Papua mage shop teleporter (Say recsu to teleport to Moonglow). E7 6084,3674 The exit from the Minoc north mines. E8 5696,3660 The exit from the passage from Vesper Cemetery. E9 5138,3665 The northern exit from the Trinsic passage. E11 5905,4069 The teleporter to Temple Island. E12 5882,3819 One of the entrances to Dungeon Khaldun.